When you hear “sushi,” you probably think of Japan. But, did you know it was actually first conceptualized in China? Born as a way to preserve food, sushi (as we know it today) didn’t exist until the late 20th century. In its early stages, it was simply salted fish placed in cooked rice and allowed to ferment. The fish sat in wooden barrels for a year before being opened and consumed, and the rice was scraped off and thrown away. Adopted by the Japanese in the eighth century, the technique was modified in subtle ways. For instance, instead of throwing away the rice like the Chinese did, the rice was eaten with the fish. Sushi – as a complete dish – was born. While the earliest versions consisted merely of salted fish in cooked rice, the 19th century saw a new method of preparation emerge. It involved placing a layer of cooked rice (with rice vinegar) along a layer of fish. The layers were kept in air-tight wooden boxes for two hours, sliced, and then served. More changes in sushi presentation were to come. They were pioneered by a man named Hanaya Yohei, the creator of the modern finger sushi (nigiri). 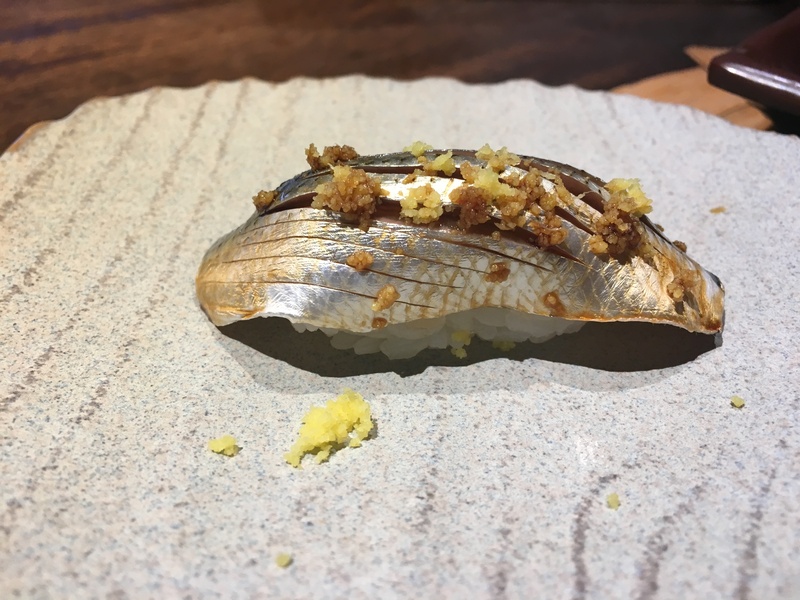 His version was hand-pressed, with a small ball of rice, and topped with a thin slice of raw fish from the bay. The fresh fish removed the need for fermentation or preservation. Customers made a beeline to Yohei’s stall and nigiri became the fast food of the time. Sushi is said to have arrived in the U.S. in the late 1960s and was first served at Kawafuku Restaurant in LA’s Little Tokyo. A small number of Japanese restaurants opened shortly after and Hollywood soon had its own sushi bar catering to celebrities. It wasn’t long before the trend expanded to New York and Chicago. The aptly named “California Roll” featuring crab and avocado is credited with the Americanization of the food, helping to ease even the most hesitant palates into the craze. These days you can find maki rolls filled with just about anything. Cream cheese, cooked fish, flavored mayonnaise and even fruits are just a few example ingredients. No matter how you slice it, it looks like sushi is here to stay. Chose your favorite location, check out our menu, and plan your next sushi adventure!